In this week’s episode of Mad Genius Tips, F&W’s Justin Chapple reveals the easy way to transform green bananas into uber-ripe, bread-ready bananas. Watch the video, then try out the technique with one of these incredible banana bread recipes. In this week’s episode of Mad Genius Tips, F&W Test Kitchen’s Justin Chapple reveals the super-easy way to transform green bananas into uber-ripe, bread-ready bananas in a flash. 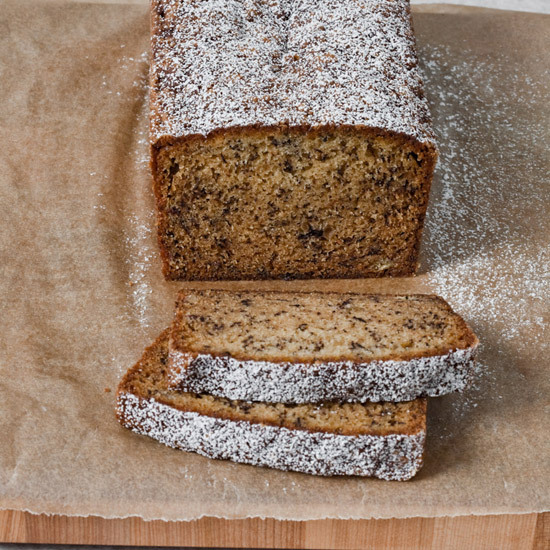 Watch the video, then try out the technique with one of these incredible banana bread recipes. This extraordinarily simple and toasty banana bread has a moist center and a crispy crust. A healthy take on the classic recipe, this bread is made with agave nectar instead of processed sugar and a little canola oil instead of butter. Caramelized apples give this bread delicious texture. Buttery walnuts are toasted just enough to remove their raw edge before being added into the batter of this crunchy bread. Blogger Sarah Bolla of Lemon Fire Brigade uses oil and silken tofu to create these deliciously moist, grown-up, dairy-free cakes. These moist muffins are like mini loaves of delicious banana bread.